More than 15 years ago, just before Durham, North Carolina opened the first 3.2 miles of the American Tobacco Trail, part of a 186-mile trail system community-wide, health economists at the CDC were busy studying/quantifying any relationship to healthcare costs. Back then, the cost of healthcare per capita as a percentage of America’s economy had multiplied to 14 times what it was in 1970, a few years before the CDC had first employed economists to study the decisions people make related to health. It had doubled from a decade before and quadrupled since 1980. Policy makers were desperate to find links to behavioral solutions. Dr. Guijing Wang, a CDC economist, was leading a team investigating any possible cost benefit from trails. The U.S. Centers for Disease Control and Prevention (CDC) had been formed in 1946 in Atlanta after government scientists had so successfully curbed malaria in 13 southern states during WWII, especially around military training bases. Charlie Fraser, newly graduated from the University of Georgia, was walking the pines on Hilton Head Island in that southern most tip of South Carolina while working there one summer. Before heading off to Yale Law School, he persuaded his father, who with his partners there had begun to timber the Island acquired the year before, to only selectively cut a strand near the southern shoreline for an even greater return. His father, a National Guard General and veteran of both World Wars, agreed. After practicing law and a stint in the Air Force, Charlie returned in 1955 with a master plan for a development. His father’s banker-partners balked, so Charlie persuaded him to restructure the partnership and give him a note on the tip of the island. Thus Sea Plantation was born, followed in 1970 by Hilton Head Plantation on the north end of the island. In the fall of 2001, Charlie and his wife relocated to the Appalachian Mountains near Brevard, North Carolina, by the entrance to Pisgah National Forest, one of the first in the east. It is possible he had read a study by the National Association of Realtors the year before validating his mid-1950s vision before a boat explosion took his life that December. According to the survey, nearly 6-in-10 homebuyers would be more likely to purchase close to green space and pay more near a park or protected area, validating that Fraser made a good decision in setting aside a fourth in open space. The survey also showed that 25 times more people use pathway systems than golf, 10 times more than those who use swimming pools, and more than those using parks and playgrounds. 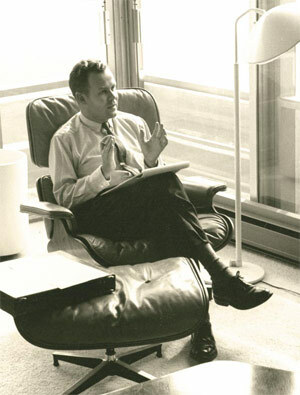 Prescient, Charlie had laced his developments with what he called “leisure ways,” away from roadways, and then encouraged other developers to follow his lead. Eventually, a town was founded so it could pursue grants for more trails. A few months after he was gone, CDC economists published their findings. Every $1 in trail investment leads to $3 in reduced healthcare costs. Charles Fraser would have smiled and nodded affirmative. He had long argued that people came to the island much more for nature than golf. His genius was an intrinsic grasp of how to nurture authenticity. A sea change in public opinion was taking place as those studies quantifying the ROI from trails and pathways was released. Between 2000 and 2008, surveys showed American homebuyer preferences for traditional, walk able neighborhoods tripled to 75%. The 2013 Home Features Survey for the National Association of Realtors shows that nearly a third of potential homebuyers would pay more for a wooded lot with many trees, double the percentage seeking an open lot with few trees. The percentage preferring trees is nearly the equal to those seeking a water view. It is why in the late 1980s, a Durham developer supported a scenic overlay that the community placed over I-40 as it crosses through here, even though he sacrificed $2 million dollars at today’s values. So why then have so many developers and policy makers seemed so eager to desecrate the things Charles Fraser understood were more valuable than gold? Sunset Beach in North Carolina is another example dating back to the mid-1950s when Fraser shaped Sea Pines, but with the opposite outcome. Sunset Beach development is laid out like many coastal areas were at the time. Why did the coastal developers refuse, when it comes to nature, to let “well enough alone” as we say in the North Carolina? Partly because they weren’t listening, and partly it was about money, but probably not what you think. The line between North and South Carolina is being resurveyed. There are best practices on both sides of the line with the nod until recently going to NC. But when it comes to coastal developments, we have far too many that emulate the tangle of Myrtle Beach and not enough that emulate Fraser’s on Hilton Head Island. By talking to coastal developers back then, Charlie Fraser learned what they would do differently. Lining homes up shoulder to shoulder destroyed the value of interior lots. He also learned they would have left the land as natural as possible and set more aside in open space as well as instituted design guidelines, something those whining to our State Legislature today still haven’t learned. Visionaries like Charlie Fraser inform their insight not from those who whine about the burdens of stewardship but by listening to those who complain about what they would have done differently. Policy-makers are better advised to study an author who holds the Charles E. Fraser Chair on Sustainability and Environmental Policy at the Urban Land Institute such as his new book entitled Conservation Communities: Creating Value with Nature, Open Space, and Agriculture. Maybe the difference in sensibilities among developers can be explained by two new exhibits under development at the 84-acre Museum of Life and Science in Durham. Hideaway Woods will be a two-acre, forested learning environment with tree houses, a flowing streambed, and hollowed out tree trunks, where young people can do what people my age did every day around our homes but with their parents perched above them on an observation deck. Nearby will be Earth Moves, a one-acre place where young people can blast away with high pressure hoses to create mini-landslides, use a conveyer to build huge mounds, dig with a backhoe, feel an earthquake and observe groundwater etc. I know – it’s sad that kids now have go to a museums to have permission to do these things, but given obsessive helicopter parents, it’s better there than not at all. Such play not only broadens perspective but enhances essential workplace skills, something sports alone can’t provide.